Irvine, Calif., Oct 8, 2018 — An estimated three-quarters of the water used by farms, ranches and dairies in California originates as snow in the Sierra Nevada mountain range, but the future viability of that resource is projected to be at heightened risk due to global climate change. 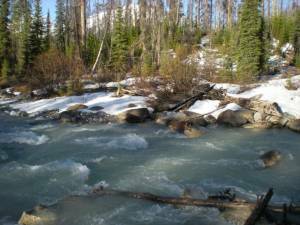 In a study published today in Proceedings of the National Academy of Sciences, University of California, Irvine researchers argue that a 1.0 degree Celsius increase in the global average winter temperature will lead to a 20 percent jump in the likelihood of below-average snow accumulation in the high country, resulting in lower spring runoff. In this article, the authors describe how snow water equivalent, an important measure of water availability, and the elevation of the snowpack respond to different levels of warming.